Are you wondering how to add plugins to your WordPress website? The process is fast and simple once you know where to find them and how to install them. When you install WordPress plugins, you're essentially bringing additional features and functionalities to your existing site. There are tens of thousands of both free and paid WordPress plugins available that can do things as simple as add a Facebook share button to your blog posts or as complex as beef up the overall security of your site. There are two different places to find WordPress plugins depending on which version of WordPress you're using. If you have a paid Business plan for a WordPress.com site, you can find plugins to install by browsing through the built-in WordPress.com Plugin Directory of your site. Unfortunately, you must have a Business plan to use plugins. Plugins are not available for free, Personal or Premium plan sites. If you have a self-hosted WordPress website, you can find plugins to install by browsing the WordPress.org Plugin Directory. The directory is accessible both via WordPress.org on the web and through your site's dashboard. 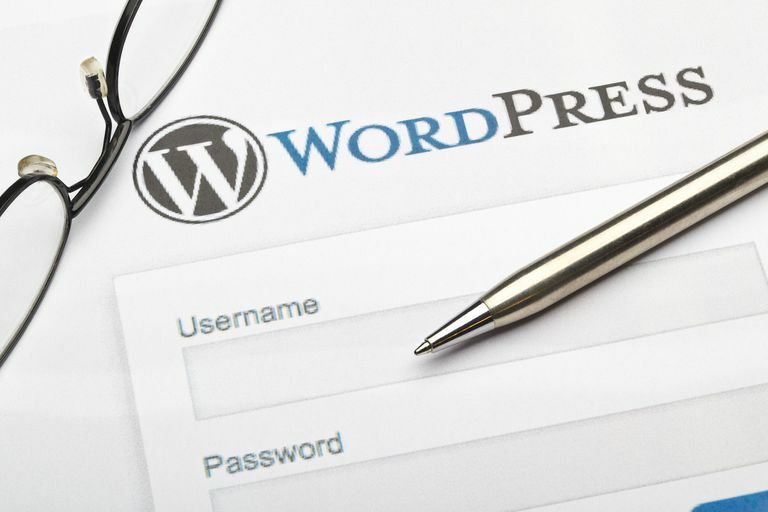 Navigate to WordPress.com and select Log In in the top right corner to enter your login details for your WordPress.com account. If you have multiple sites on the same WordPress.com account, select My Sites in the top left corner followed by Switch Site. Then select the site you want. In the left menu, select Plugins. You can browse through the featured plugins on this page or select one of the the suggested plugin themes at the top. You can also select the magnifying glass icon in the top right to do a search for a keyword, phrase or name of a specific plugin. Alternatively, if you happen to have a custom plugin you'd like to install, you can select the Upload button in the top right to select the plugin as a ZIP file from a folder on your computer. If you decide to select a plugin from within the directory (as opposed to uploading a custom one) to install onto your WordPress.com site, a popup box showing a summary of the plugin will appear once you click on the plugin. Select the blue Install button that appears beside its name to begin the installation process. The installation will be complete after a few seconds and you'll be able to select Activate to turn it on. Once activated, you'll be able to use and manage the plugin by selecting the Manage button beside Plugins in the left menu. Navigate to the login page of your self-hosted WordPress site and log in to access your site dashboard. Hover your cursor over Plugins in the left menu and select Add New from the submenu. Browse through the Featured, Popular, Recommended and Favorites using the links at the top or do a search for a keyword, author, tag or plugin name using the search field in the top right. Select a plugin to view a popup summary box of its details. To install the plugin, select the blue Install Now in the bottom right of the plugin's popup box. Your installation will finish in a few seconds. Select the Activate button that appears on the plugin summary box or select Plugins > Installed Plugins from the left menu to activate it and configure its settings. Depending on the plugin, you might see it appear as a new option to select from the left menu. It might also appear in the submenu of one of the main options in the left menu, such as under Tools or Settings. If you downloaded a plugin from the WordPress.org Plugin Directory outside of your site's dashboard or from a developer's site, you can upload it to your site directly. Select Plugins > Add New from the left menu and then select the Upload Plugin button at the top. Select the Choose File button to select a plugin as a ZIP file from a folder on your computer. Then select the Install Now button to begin installation. After a few seconds, you'll be given confirmation of whether the plugin was successfully or unsuccessfully uploaded. If it was successful, you can select Activate Plugin to turn it on. You can then navigate to Plugins > Installed Plugins and select the plugin's Settings or look for it as a newly added option in your left menu. You can access your WordPress.com or self-hosted WordPress site's dashboard from a mobile web browser and use it in much of the same way that you can on the desktop web. This means that you can install plugins from a mobile device if you want that option, however you'll probably find it easier on the desktop web – especially if you're downloading plugins from third-party sites and uploading them to your site. The official WordPress.org plugin does not allow you to install plugins.